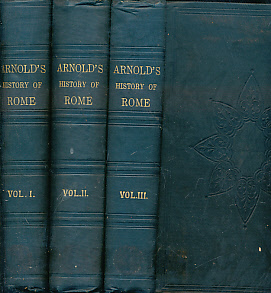 Barter Books : Arnold, Thomas : History of Rome. Three Volume Set. G : in good condition. Ex lib. Hinges split in second volume. Some pages uncut.